Nine days after the win over Eibar at the Santiago Bernabéu, Real Madrid have another LaLiga match. Zidane’s side visit Butarque stadium as they look for another win against Leganés, a very strong side at home. Watch our pre-Leganes warm-up LIVE! 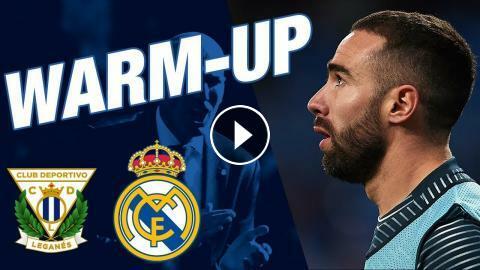 DEPORTIVO VS REAL MADRID | The team are out for their warm-up! Real Madrid warm up before the Club World Cup semi-final! Real Madrid players warm up before the Clásico! Real Madrid receive warm reception in Las Palmas! Real Madrid warm up before the Clásico!